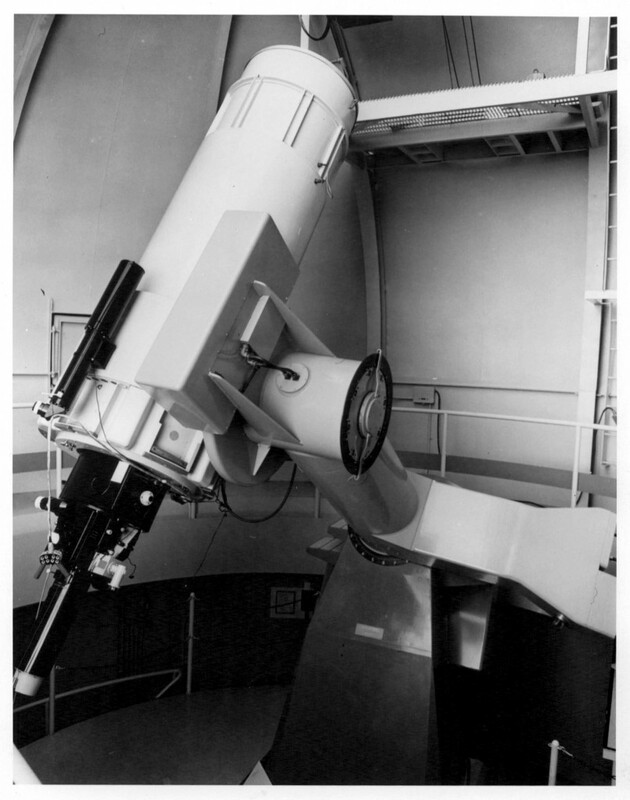 Two 36 inch telescopes incorporated a basic design for Kitt Peak National Observatory (July 1967). All future Boller and Chivens off-axis telescopes 36 Inch and larger had a completely redesigned mount, drive systems, and mirror support system. 36 inch Telescope with a Boller and Chivens Spectrograph mounted on the rear of the mirror cell. A site about the 36 Inch Telescopes at Kitt Peak. 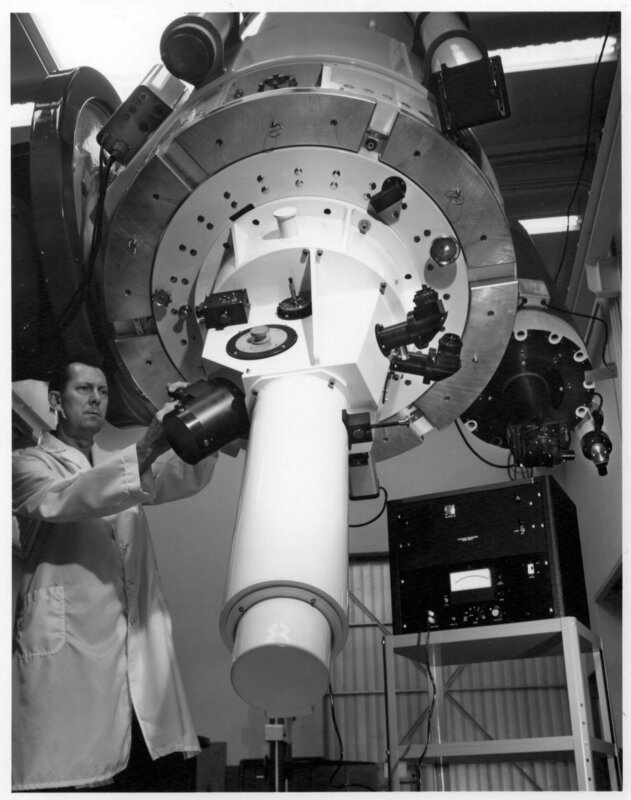 Then head of the (nighttime) Stellar Division Art Hoag labelled these as 36-inch telescopes although the primary mirrors are 38 inches, 37.7 inches clear aperture. Art told me once he wanted other sites with 36 inch telescopes to wonder why the Kitt Peak telescopes did better – great sense of humor!